StaffHub can also send out information via the app. 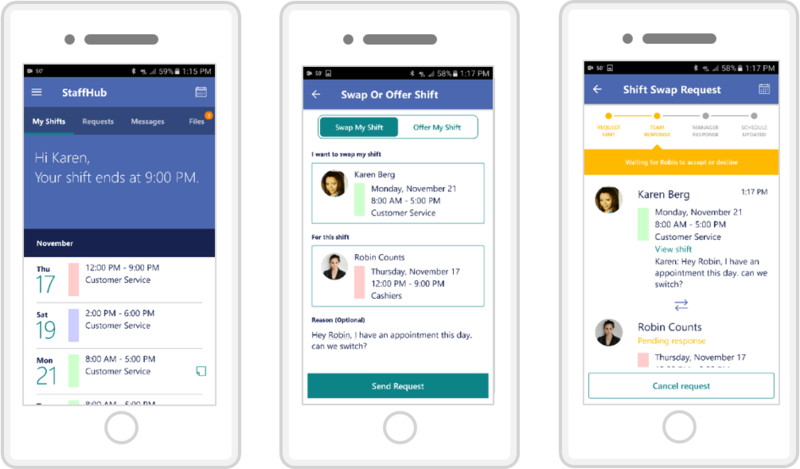 Manager can send important information to staff via the app which means it will get to everyone in a timely manner. Finally, Microsoft StaffHub is designed to work with other services which managers could already be using. Microsoft used the example of Kronos Workforce Central Platform as an example of such a solution and StaffHub integrates with it. Even if managers use that workforce management solution, the information can be pushed to and pulled from StaffHub. StaffHub is a free add-on to existing Office 365 plans. If your company or school is on the K1, E1, E3 or E5 enterprise plans, it is available. It just has to be enabled by your administrator. To get more details, head to the StaffHub site.